We have been bombarded with messages, emails and calls if the hood scoop is ready. Perfection takes time, and the wait is over. 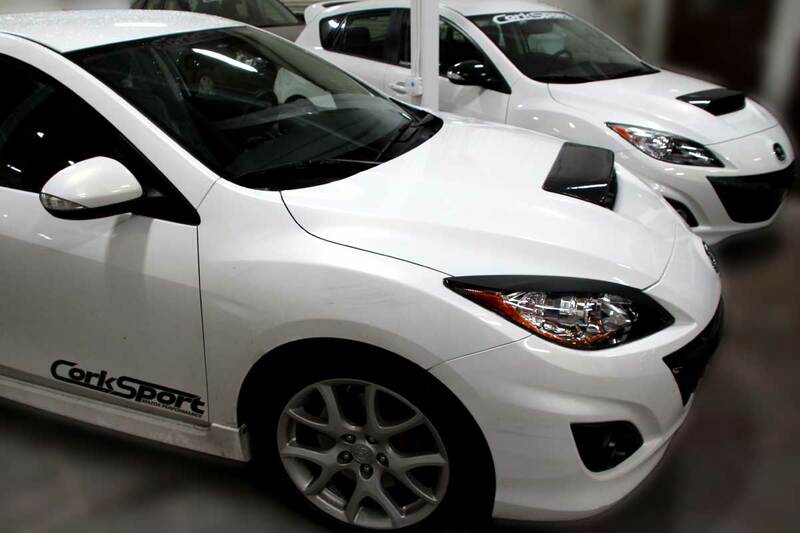 We are glad to announce the Mazdaspeed 3 Carbon Fiber Hood Scoop. Designed for the 2010 – 2013 Mazdaspeed 3 for a precision fit. CorkSport’s new hood scoop will allow your Mazdaspeed to open up and improve airflow to the top mount intercooler (TMIC). The demand is high, and these are going out the door fast. I see this post just a couple months ago, but the store says it won’t be available until July. Did they really sell out that fast? Or did you have just a small quantity to begin with? I check the website every day just in case they become available sooner — I really, really want one! We sold out and are working on bringing more back! Are you possibly able to get the scoops in black? I’m not really going with the carbon fiber look. But I love the scoop. I’m sorry, but It told me late August, when I looked it now says September. Please make more? We are working on them! It just takes time! Is it first people to add it to there cart and buy or can people pre order it so they know they will get one? I was noticing that it is no longer up on your sight. Are you guys no longer going to sell this item or is it just not back in stock yet? We invested in a higher quality mold/production process on the hood scoops which made the price go up with the quality of the part.